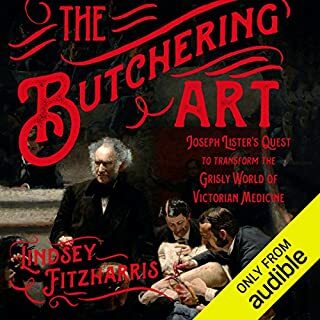 In The Butchering Art, the historian Lindsey Fitzharris reveals the shocking world of 19th-century surgery on the eve of profound transformation. She conjures up early operating theaters - no place for the squeamish - and surgeons, working before anesthesia, who were lauded for their speed and brute strength. They were baffled by the persistent infections that kept mortality rates stubbornly high. A young, melancholy Quaker surgeon named Joseph Lister would solve the deadly riddle and change the course of history. Out of 12+ hours only the last two and a half hours of the book are actually devoted to Lister’s research and exploration of the germ theory and antiseptic practices. The first 10 hours are just descriptions of butchering and suffering in hospitals. 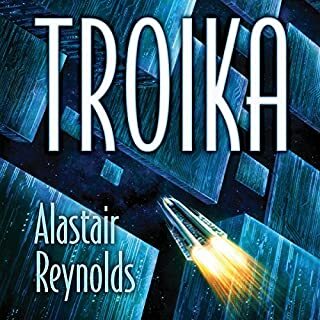 Troika tells the story of men and women confronting an enigma known as the Matryoshka, a vast alien construct whose periodic appearances have generated terror, wonder, and endless debate. During its third "apparition" in a remote corner of the galaxy, a trio of Russian cosmonauts approach this enigma and attempt to penetrate its mysteries. What they discover - and what they endure in the process - forms the centerpiece of an enthralling, constantly surprising narrative. My only comment is that Russians don't talk like they are depicted in the story. It's more like how English-speakers think how Russians speak among themselves. A bit more linguistic research should've been done for a first-person story. The Horologicon (or book of hours) contains the most extraordinary words in the English language, arranged according to what hour of the day you might need them. 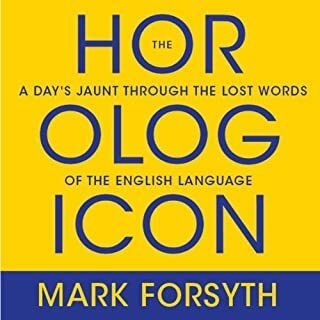 From Mark Forsyth, the author of the number-one international best seller The Etymologicon comes an audiobook of weird words for familiar situations. From ante-jentacular to snudge by way of quafftide and wamblecropt, at last you can say, with utter accuracy, exactly what you mean. great book and excellent narration. if you love words and their etymology this is it. Every sentence is a cliche. It seems the author is in his early stages of learning how to write novels. Every sentence is a cliche. Every character is a cardboard-like puppet with no internal world. 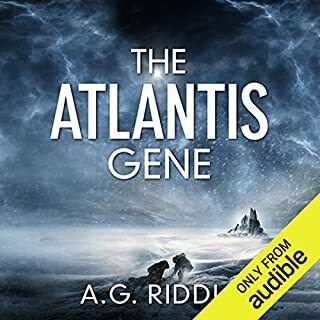 One of the worst pieces of literature I've listened to on Audible. James S.A. Corey delivers compelling SF that ranks with the best in the field. 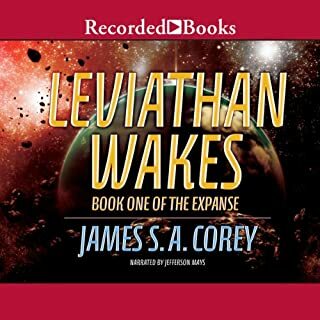 In Leviathan Wakes, ice miner Jim Holden is making a haul from the rings of Saturn when he and his crew encounter an abandoned ship, the Scopuli. Uncovering a terrifying secret, Jim bears the weight of impending catastrophe. At the same time, a detective has been hired by well-heeled parents to find a missing girl, and the investigator’s search leads him right to the Scopuli. implosible and annoying characters, somewhat predictable plot, nonexistent resolution. OK for long commute though. Skipping other books in the series and of this author. 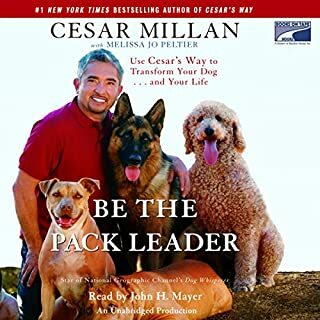 Filled with practical tips and techniques as well as real-life success stories from Cesar's fans, clients, and his popular television show Dog Whisperer with Cesar Millan, this audiobook will help you understand and read your dog's energy as well as your own, so that you can move beyond just correcting behavioral issues and take your connection with your dog to the next level. This book contains very little actual dog training material. Instead it's filled with references to new age-type concepts: balance, energy, whole person. with no real meaning. Cesar M. might be a good dog trainer. No doubt. However based on his TV show and all the books he managed to publish and sell he is really good at hiding his actual dog training methods behind empty content. All of these concepts like "pack leader", structure, alpha dog have been thoroughly discredited by many scientists. Unfortunately scientists don't have widely marketed and big budget TV shows to promote real discoveries. The result: books like this one. If someone likes pop psychology then this book will definitely fit the bill. Nothing against pop psychology but it has nothing to do with dog training.I'm not even touching his constant use of the word "energy" in so many variations. There is negative energy, positive energy, energy balance. Even if we take these as metaphors and not something with actual substance it has become a linguistic crutch after the first chapter. In the chapter about Tycoon (the first case) Cesar M. uses most of the space to describe himself, his feelings, the client, Tycoon's "journey" from a macho to softer person, struggles of the Tycoon's personal assistant, house maid's feeling and body language, private jets, Cesar's LA's training facility, but practically nothing to describe how he actually solved the problem with his client's dogs. I maybe I missed it somehow. What about John H. Mayer’s performance did you like? John H. Mayer's narration is actually pretty good. In his inimitably entertaining and wonderfully witty style, he takes apart famous phrases and shows how you too can write like Shakespeare or quip like Oscar Wilde. 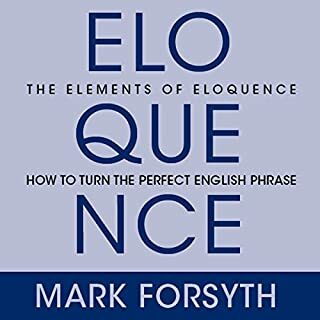 Whether you’re aiming to achieve literary immortality or just hoping to deliver the perfect one-liner, The Elements of Eloquence proves that you don’t need to have anything important to say - you simply need to say it well. 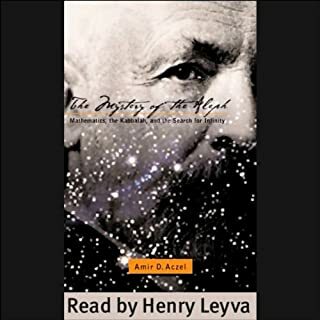 The narrator can make or break an audio book and this one makes it perfect with great deadpan and masterful delivery. A somewhat obscure subject has been transformed into a masterpiece by both the author and the narrator. Enjoyed it enough to listen to it twice and will come back again and again..What a gem. Best selling author Amir Aczel ( God's Equation) delves into the riddle of infinity, religion and science with "mad" mathematician Georg Cantor, in what Booklist calls "an indispensable book for anyone interested in the darker side of intellectual progress." Loose supernatural nonsense and the book is really good. Overall enjoyed both the text and narration.